EcoPowerSupplies provides a complete range of power and energy solutions for data centre, comms rooms and critical server IT environments. The company works with leading brand manufacturers including Riello UPS, Huawei, SDMO, Yuasa and Ortea to provide the latest high efficiency uninterruptible power supplies, including monoblock and modular systems from 300VA to 6MVA, standby power generators, voltage optimisers, voltage stabilisers and power factor correction systems. The company has a nationwide service network with certified UPS engineers and provides a complete UPS installation management service from initial site survey to 4 clock hour 24/7 UPS maintenance contracts. UPS services cover: NICEIC electrical installation, bypasses and switchgear, commissioning, load bank testing, battery testing, replacement and eco-friendly recycling, UPS maintenance and emergency call out. 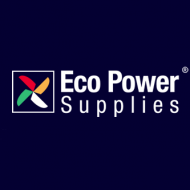 EcoPowerSupplies works with clients across the UK and provides a range of free surveys and audits to help organisations improve their power protection and electrical efficiency. Audits include Power Quality Analysis, Power Protection Planning, Generator and UPS site Surveys.